Yeouido, once considered the unrivaled financial hub of Seoul, is now weighed down by a high real estate vacancy rate amid the prolonged downturn of financial businesses. Foreign financial firms are hesitant to enter the South Korean market, local companies have been downsizing, and even those willing to launch or expand business in Seoul tend to prefer other areas such as Gangnam to the small island in western Seoul. An example is Hastings Management, the asset management subsidiary of Australia’s Westpac Bank, which opened its Korean branch last December in Samseong-dong, Gangnam, instead of Yeouido. “Compared to Gangnam and other developed districts in Seoul, Yeouido’s office lease pool is highly limited to financial companies,” said an official of global real estate franchise Remax Korea. According to real estate consulting firm Savills Korea, the vacancy rate in Yeouido in the second quarter was 24.8 percent, the highest since 2002. The sharp increase was largely attributable to the Three International Finance Center building, which was recently included in the count, Savills officials explained. The building, which is part of the integrated IFC complex, incorporates 12.2 percent of Yeouido’s prime office area, but a considerable amount of space remains unrented. The vacancy rate is likely to soar further in the coming years as construction of the 69-story Park One building is expected to pick up speed within this year. The high concentration of top-ranking financial companies and consequent demands for office space attracted the construction of the mega-sized buildings to Yeouido. But under the lasting effects of the global financial crisis, foreign securities firms pulled out of the country and local banks carried out large-scale restructuring. Shinhan Bank, the nation’s No. 1 bank in terms of profits, is said to close 49 offices this year, including key spots in Yeouido. Also, the total number of employees working in banks, securities, insurance and credit cards in the first half of this year decreased by 5,033 or 3 percent from the same period last year, according to corporate tracker CEO Score. With a sense of crisis that the decline of Yeouido may result in the fall of the nation’s finance industry, Seoul City has set out to lure prestigious financial companies to the area. 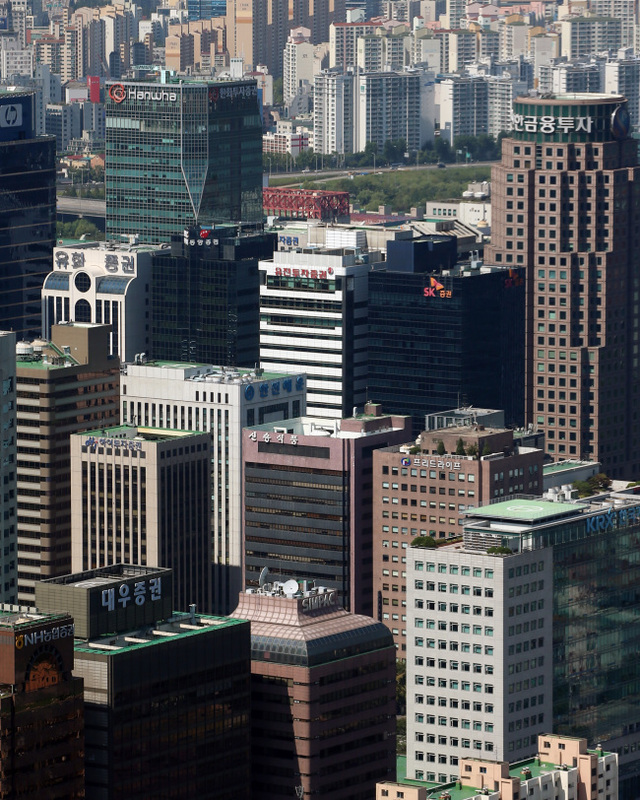 The Seoul Metropolitan Office said earlier this week that it would offer special monetary incentives to companies that move to Yeouido. But concerns are that the legislation came too late, especially considering that the government’s pledge to promote Yeouido as the new financial hub was made in 2009.